A potting shed and greenhouse in one. 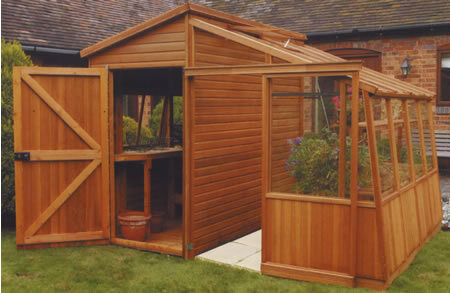 The retreat greenhouse can be manufactured in deal, tanalised or Cedar. A very high quality wooden greenhouse with potting shed attached, available in 12 different sizes with several options including extension partitions.